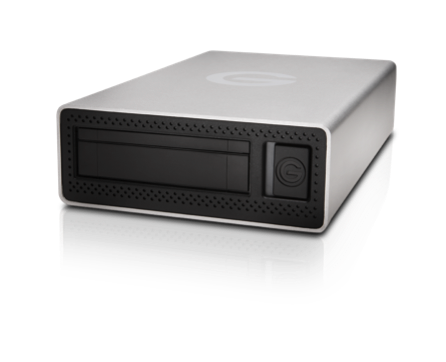 Professional hard drive and storage solutions company G-Technology unveiled a series of new hard drives that expand compatibility and flexibility with their growing Evolution Series solutions. 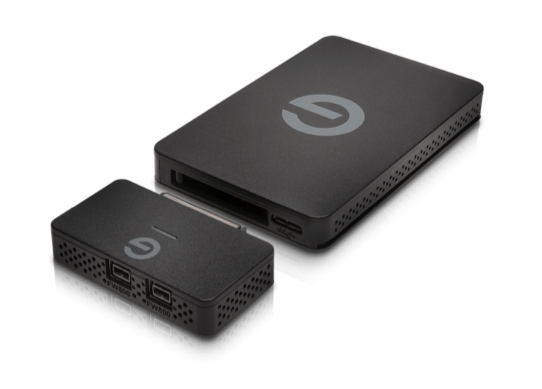 Denoted with an "ev" in their product names, the Evolution Series products enable professionals to take portable project drives on the go, dock them to professional and extremely fast workstations in the office, and then go mobile again -- all with the same drive(s). Among the new devices is a creation from a G-Technology and RED Digital Cinema partnership: the ev Series Reader RED MINI-MAG Edition. 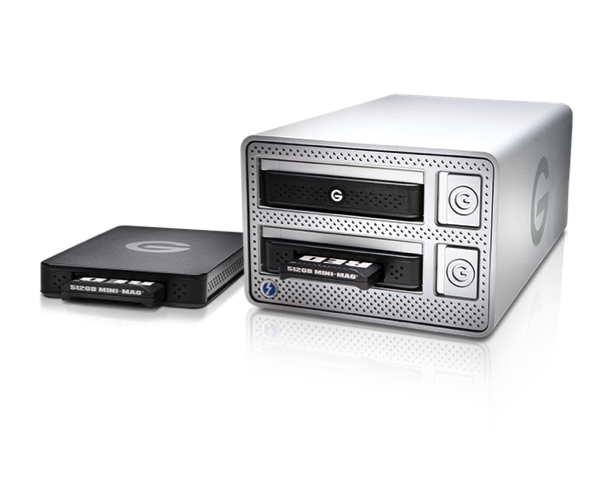 G-Technology's largest and fastest addition to the Evolution Series family is the G-Speed Studio XL, now with two ev Series Bay Adapters. 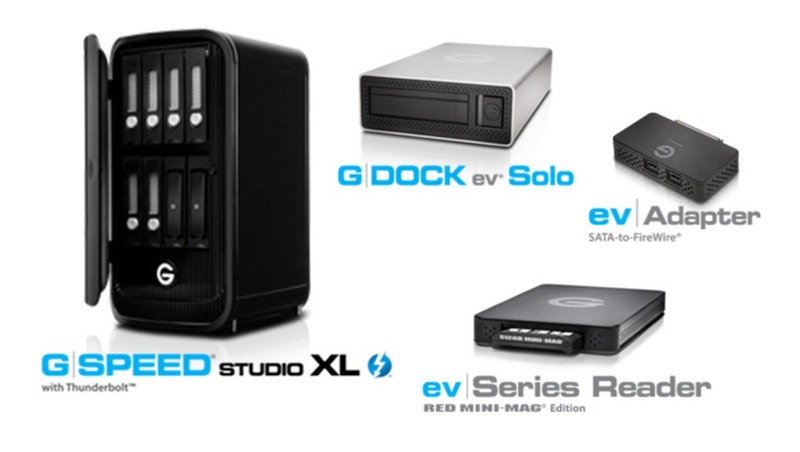 Maximizing on the proven performance of the standard (and still available) G-Speed Studio XL with Thunderbolt 2, professionals can opt for a new version with two slots that feature adapters for any ev Series hard drive, including the G-Drive ev, G-Drive ev RaW, the G-Drive ev SSD, or even the G-Drive ev 220, which is slightly thicker due to its dual, RAID 0 internal portable hard drives. 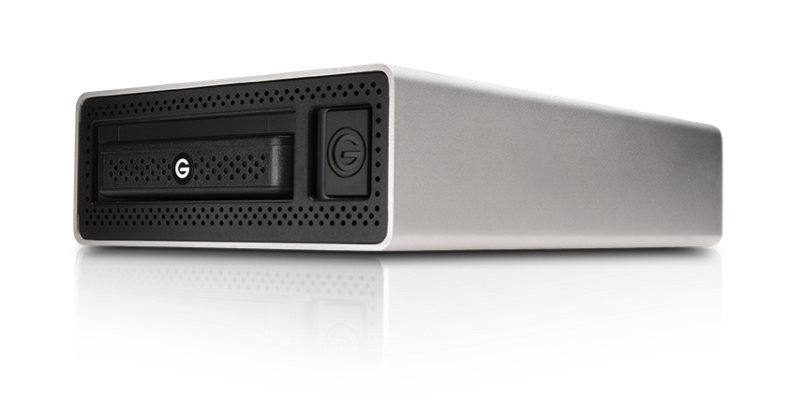 The G-Speed Studio XL expands flexibility by allowing two ev Series drives or adapters (more info below) to be dropped into the system alongside its six other standard slots that can be configured with up to 48TB of storage. The flexibility will cost a slight amount in performance, as the G-Speed Studio XL supports transfer rates of 1,200MB/s with the six standard slots filled as opposed to the 1,350MB/s that is achieved when all eight identical drives can be put in the same RAID system. But for professionals constantly off-loading media from other ev Series drives, the two ev Series Bay Adapters will be a welcome presence. 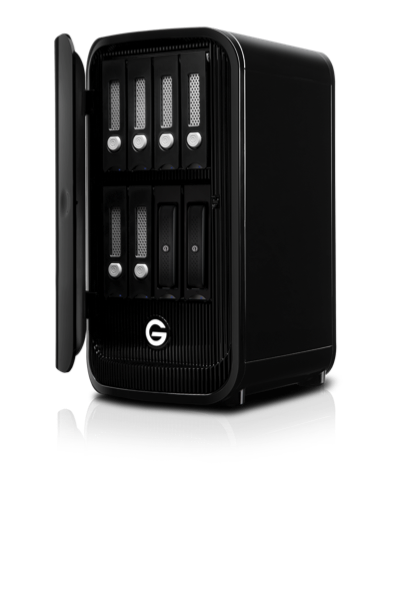 The G-Speed Studio XL with ev Series Bay Adapters will be available at an MSRP of $2,799.95 for 18TB, $2,999.95 for 24TB, $3,999.95 for 32TB, and $4,999.95 for 48TB of storage. The already mentioned ev Series Reader RED MINI-MAG Edition (available at an MSRP of $199.95) is a culmination of efforts between RED and G-Technology to give RED Camera users and DITs an improved workflow when working within the Evolution Series. Essentially a bay adapter for the RED MINI-MAG, this new reader adds MINI-MAG read capabilities to any Evolution Series product, allowing users to create a RED MINI-MAG reader out of the G-Speed Studio XL with ev Series Bay Adapters, G-Dock ev with Thunderbolt, the watertight All-Terrain Case (ATC), or even the new G-Dock ev Solo. 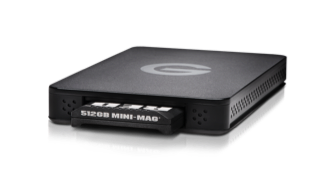 The G-Dock ev Solo is G-Technology's easy solution for labs, classrooms, and other studio environments to enable easy docking in a clean workspace for any single ev Series drive via a USB 3.0 connection. 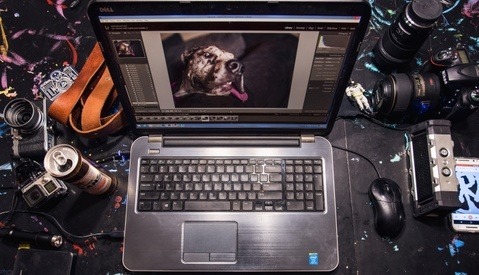 The new single-bay dock supports 400MB/s transfer rates with the ev SSD or up to 2TB of data with the ev 220. The G-Dock ev Solo will be available at an MSRP of $99.95. Finally, G-Technology announced a new ev Series FireWire Adapter that lets users connect any ev Series drive to their older MacBook Pros and Mac Pro towers over the older connection with full support for all of FireWire 800's features, including daisy-chaining through either of the two FireWire 800 ports on this new ev Series adapter, available at an MSRP of $49.95. 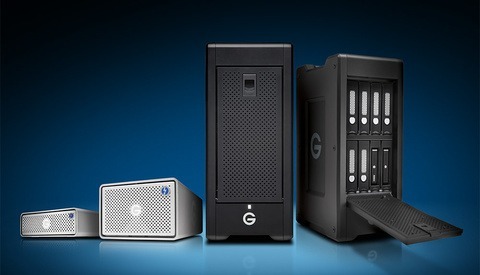 If anyone had doubts before, it's more than clear now that G-Technology is committed to its Evolution Series lineup -- and it makes sense, given that it focuses on a workflow solution for every professional that needs to move quickly between all types of media, from solid-state to traditional hard drives and from portable, single drives to on-the-desk workstations. This article will be updated soon with order links. 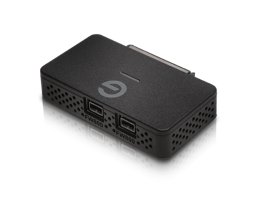 An updated version of G-Raid Mini with Thunderbold and USB 3.0 would be nice!